TEJO is looking for an EVS volunteer! Home > Proponoj aktivi > TEJO is looking for an EVS volunteer! As part of the European Voluntary Service, TEJO invites you to become a full-time volunteer in our Central Office in Rotterdam, the Netherlands. 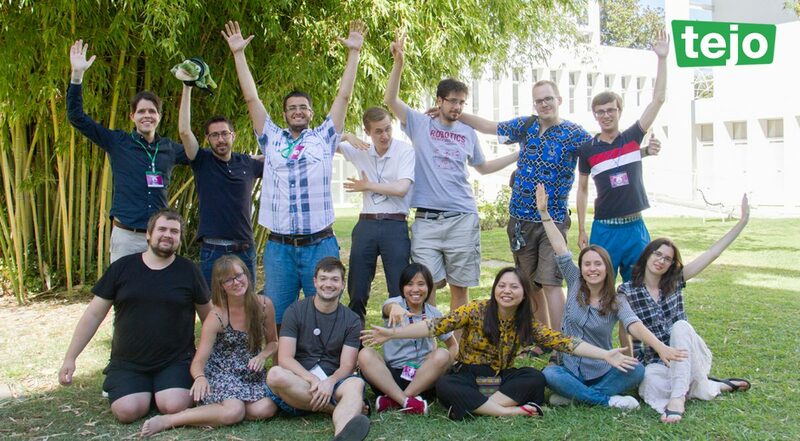 TEJO (Tutmonda Esperantista Junulara Organizo in Esperanto, World Esperanto Youth Organisation in English) is an entirely youth-led organisation exclusively dedicated to youth. It works in the areas of culture, education, and language policies, and promotes intercultural understanding and participation of young people through educational programmes and activities, organised on a voluntary and collaborative basis by using the international auxiliary language Esperanto. Being a volunteer doesn’t only mean contributing to the well-being of the organisation, but it is at the same time a personal development. The volunteer will work at the heart of the Esperanto movement – the Central Office of the World Esperanto Association and TEJO, he or she will be able to help with many interesting projects (arranging meetings, information campaigns and the development of internet projects) and also with attending events representing TEJO. EVS is open to all young candidates who are between 18 and 30 years old. The project limits the volunteering to a maximum period of one year, making it possible for more volunteers to have their volunteering experience with us. The volunteer must show an interest in Esperanto and in learning it before or after his or her arrival, with the help of our staff and the resources available for free in the office. As a volunteer you’ll certainly learn teamwork and you’ll have an opportunity to bolster your skills, especially with the after-mentioned tasks. These are the qualities of our ideal candidate and we’re aware that not everyone can fulfill them. In the time frame between the selection of the candidate and the start of the volunteering, there will be enough time to train oneself. So don’t hesitate to apply! You can apply commencing from now. We continuously examine the applications until we find a suitable person. The volunteer period is for one year and the start date is subject to agreement (either September, October or November 2018). You will have a free place to stay and your travel expenses related to your volunteering will be reimbursed. TEJO is looking for at least two volunteers, therefore if you are only able to volunteer with the company of another volunteer, you can both apply together by specifying it in the motivational letter. The European Voluntary Service program only accepts candidates from the European Union and from the following countries: Russia, Western Balkans (Albania, Bosnia and Herzegovina, Kosovo, Montenegro, Serbia), Eastern partners of EU (Armenia, Azerbaijan, Belarus, Georgia, Moldova, Ukraine), South-mediterranean countries (Algeria, Egypt, Israel, Jordan, Lebanon, Libya, Morocco, Palestine, Syria, Tunisia, Turkey). At this time, the TEJO-volunteer has to work in the Central Office in Rotterdam. Citizens of the EU/EEA can work and live in the Netherlands without any problem, but citizens of many countries still need a work permit and visa. Because the Netherlands doesn’t offer volunteering visas, and because the pocket money doesn’t cover the means of subsistence of the Netherlands, TEJO will take this into consideration during the selection of the volunteer and will try to find the appropriate solutions.